When I was getting myself organized at the start of this year, I spent quite a bit of time looking for the perfect blogging calendar to fit my needs. 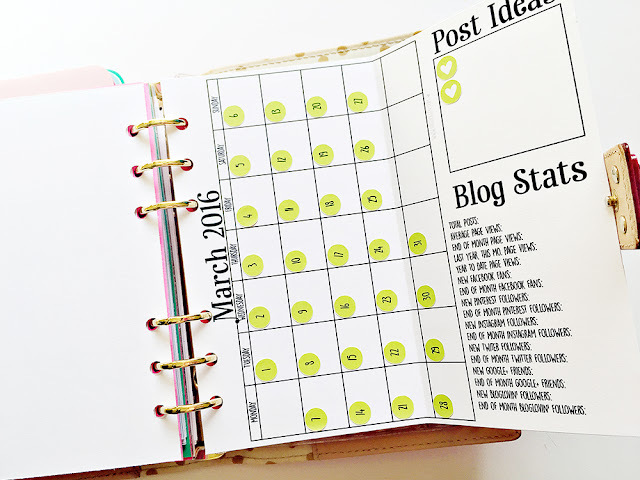 A few years ago, I shared the large monthly-view planner I would use with sticky notes [that fit into each daily square] to plan my content. 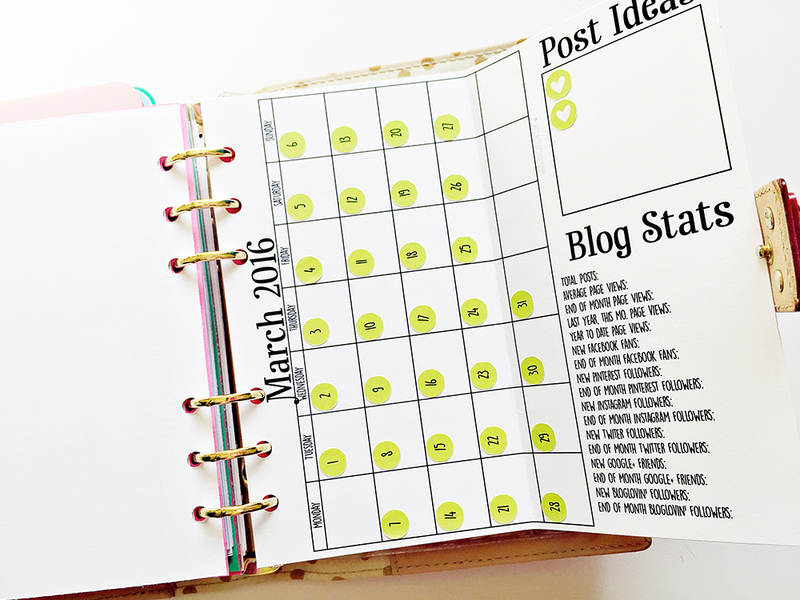 I still think that's a great idea for laying out your month since sticky notes are easy to move around. This year I decided to try something different and I moved my content planning to a Google spreadsheet. 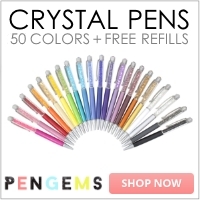 Here, I keep an ongoing list of ideas for blog posts, upcoming sponsored posts, and plans. I've divided it up into months and it serves as a log for due dates, post dates, keywords, posted URLs, etc. I could have easily used this same idea for a stat tracker but really wanted to go the paper route. I prefer writing things down and anyone following me knows that my daily planner dubs as a memory keeper. 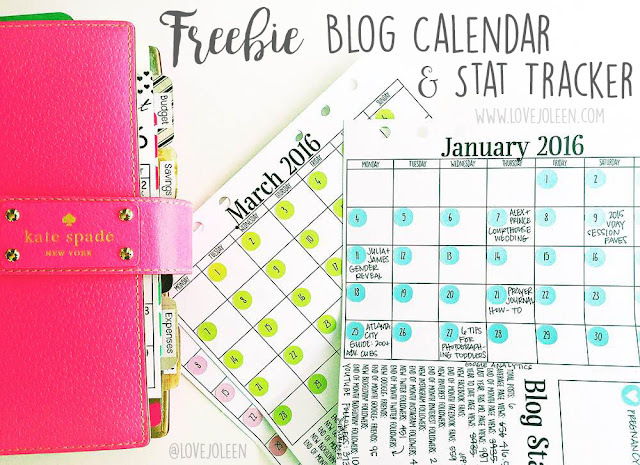 I wanted to do something similar with my blogging calendar and stats. I created this combo to fit neatly into a Personal-sized planner and it folds out to fit everything. Instead of planning with this calendar, here I write in posts that actually were published. This coincides with the statistical information that I track on the right-hand side at months end. I've also left a small section for brainstorming. This is my third month using this calendar/tracker and I love it. I hope you will too! You can download your FREE [Personal-sized] blog calendar + stat tracker printable, HERE. Please note that this download comes with a blank title so that you can customize with the month/year. 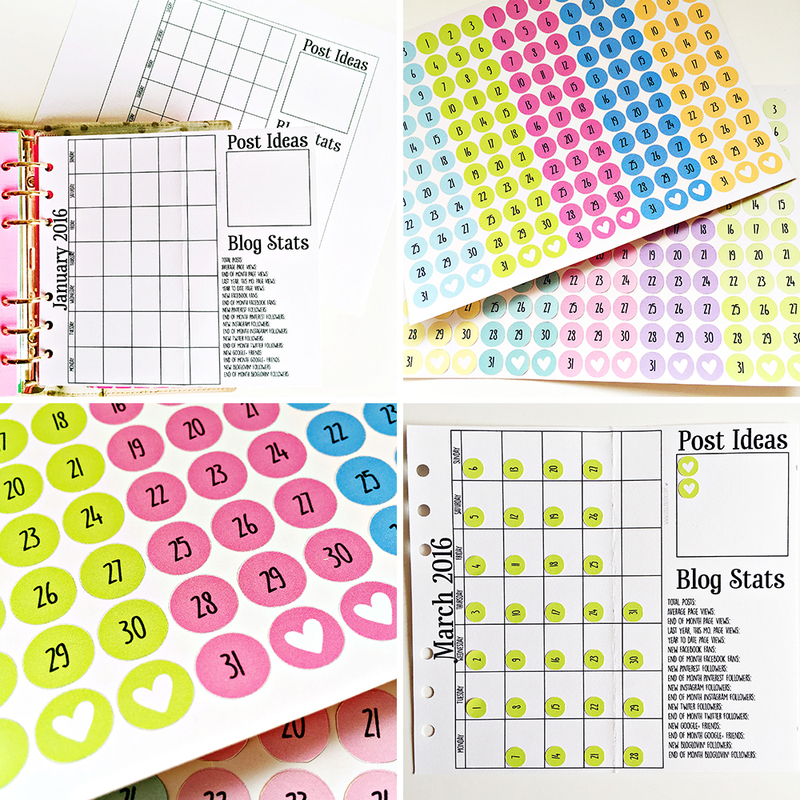 Visit Planner Pals to purchase the date stickers shown in this post.